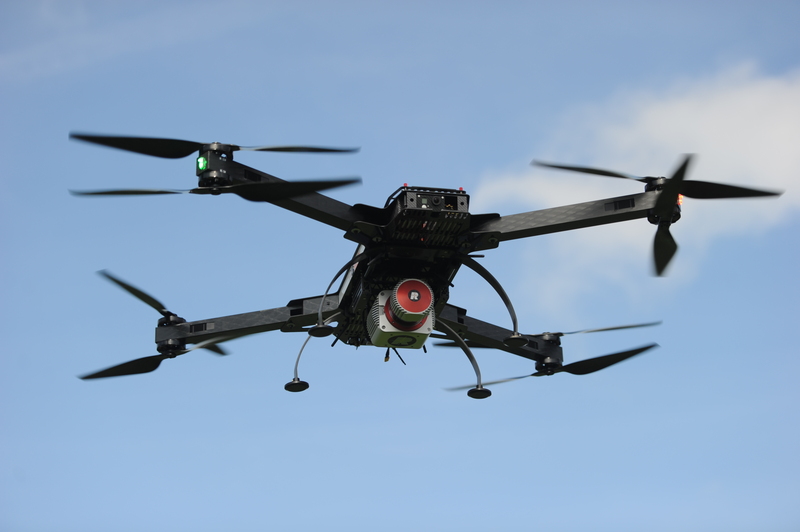 RIEGL to Present and Exhibit at ILMF 2015! RIEGL will be presenting and exhibiting at ILMF 2015! ILMF (International LiDAR Mapping Forum) 2015 will be held at the Hyatt Regency Denver at Colorado Convention Center in Denver, Colorado from February 23 through February 25, 2015. RIEGL is excited to be attending, presenting, and exhibiting at ILMF. RIEGL will be exhibiting at Booth 21 during the conference. Please be sure to come by our booth to talk to our staff about any questions that you may have about our hardware and software solutions! RIEGL will have the new RiCOPTER unmanned aircraft system on exhibit! The RiCOPTER will be on display at both the RIEGL booth and at our partner Esri’s booth, Booth 77, where you can learn about new workflows on “UAS to GIS” geospatial use for Air, Land, and Sea with Esri & RIEGL Staff. Visitors can learn about streamlining the LiDAR and imagery data acquisition for collection, production, and using the information to enable quick and accurate decision making with geographic analysis. RIEGL will also have our latest instruments on display in the mobile mapping area. Both the RIEGL VMZ hybrid mobile laser mapping system with the newly launched VZ-2000 long-range terrestrial laser scanner mounted in the system, as well as the RIEGL VMX-450 high performance mobile laser scanning system, will be out in the mobile mapping area. At the RIEGL booth, there will also be the new RIEGL VQ-880-G topo-hydrographic airborne laser scanning system and the RIEGL LMS-Q1560 long-range airborne laser scanner system on exhibit! Dr. Andreas Ullrich, Chief Technical Officer of RIEGL, will be presenting “Radiometric Calibration of Multi-Wavelength Airborne LiDAR Data” on Tuesday, February 24 from 10:00-10:30 AM. Tan Nguyen, Field Support Manager, will be hosting a Technical Workshop on “Fog Penetration of a Terrestrial Laser Scanner with Full Waveform Digitalization and Online Waveform Processing” on Wednesday, February 25 from 9:30-10:00 AM. Joshua France, Mobile Systems Segment Manager, will be presenting “Mobile Laser Scanning Over and Under the Sea” with Jacobs Engineering on Wednesday, February 25 from 11:30 AM-12:00 PM. RIEGL is looking forward to a successful conference and to seeing you at ILMF 2015! The Austrian based firm RIEGL Laser Measurement Systems is a performance leader in research, development and production of terrestrial, industrial, mobile, bathymetric, airborne and UAS-based laser scanning systems. RIEGL‘s innovative hard- and software provide powerful solutions for nearly all imaginable fields of application. For more information, visit www.riegl.com. ← RIEGL USA to Exhibit at SME 2015!